UMUAHIA—THE Leader of the Indigenous People of Biafra, IPOB, Nnamdi Kanu has called on Ndigbo residing in the North to immediately relocate to their home land in Igboland following the hate song against Ndigbo being circulated in the North. Kanu warned them to take the hate song serious as the Northerners were serious with the evil message. Describing the anti-Igbo song as “evil, satanic and pre-genocidal”, the IPOB leader warned Ndigbo still living in the North not to ignore the dangerous implications of the messages in the song. According to him, the song was a prelude to the October 1 quit notice deadline issued by coalition of Arewa youth groups and noted that the song was a further confirmation of the alleged plots to unleash genocide on the Igbo residing in the North. Kanu, therefore, called on Ndigbo still residing in the North to quickly relocate to “Biafra land” before the expiration of the October 1 deadline issued by the Arewa youths to avoid being victims of the planned attack. “I am aware of an anti-Igbo song circulating now in the North. My reaction has been to warn our people in the North that the pogrom being hatched by our enemies will come. There is an impending doom for our people living in the North. “So, their best bet is to leave North and come home so that we can have our Biafra and build an economy capable of assimilating and absorbing all their potentials and creative abilities. “That they will kill us is not news but the funniest thing is that the DSS manned by Fulani people will not investigate or summon those responsible. What they specialize in doing is going about and creating diversion and seeking ways to intimidate the likes of Chukwuma Soludo, Pat Utomi, etc, because of Biafra. “This is not just hate speech but genocidal threat. They are inciting people to murder others which IPOB has never done and will never do. This is the type of people insisting we will be in the same country with them. 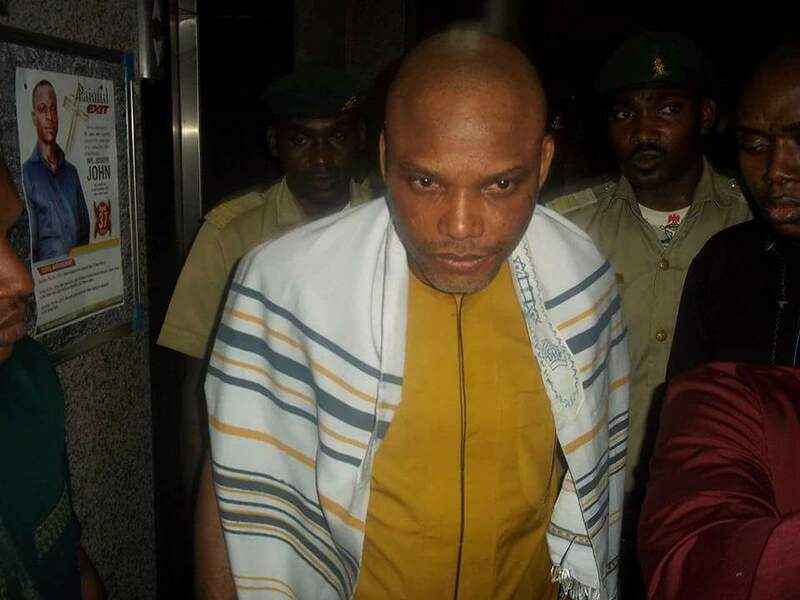 It is terrible”, Nnamdi Kanu said.